More and more people are now conscious about staying safe and keeping their loved ones safe. When this is not possible you have to hope that they receive the correct treatment as quickly as possible. ENDEVR, who are known to create products for health wellness and safety, are now debuting the ‘MYID wristband’. 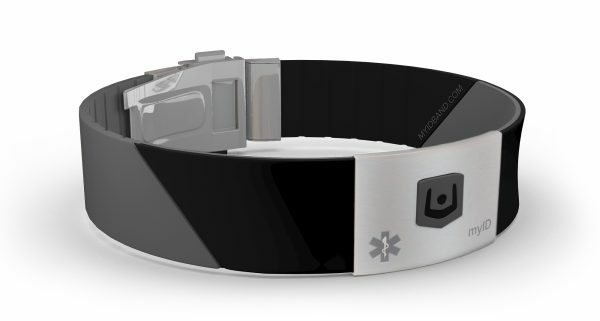 The ‘MYID’ is a medical ID wristband, it stores personal medical information in case of an emergency. Being able to pass on vital information to those that need to care for you when the unimaginable happens could save your life. Most people do not plan for the unthinkable, you hope that there is someone around to help you and give you the correct treatment. With the ‘MYID wristband’ your personal medical information is all there for the medical staff to access. 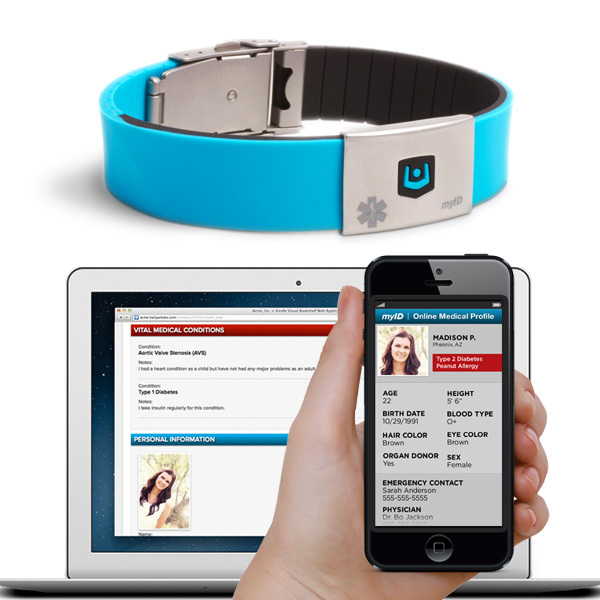 The medical ID profile stores important information such as full name, birth date, weight and height, as well as blood type and organ donor information, emergency contacts, medications, the wearer’s doctor’s information, any allergies, along with any medical equipment the wearer may require like an oxygen tank. If someone was in trouble all you would have to do is scan the QR code or call the telephone number on the band and access the information required to save a life! The ‘MYID’ is easy to set up, you can use an App on your smartphone or computer to input the vital information required, this also makes updating the wristband quick and simple. The ‘MYID’ app also embeds your emergency information into a custom QR code image for your phone’s lock screen wallpaper, making it easy for emergency staff to access critical medical information. Having a live 24/7 emergency call centre availability, medical ID profile, and stickers for your helmets, car, and home; ENDEVER provides complete protection to ‘MYID’ users. The wristband can be useful for many different situations, a lost child, an accident which renders the person unconscious, or an allergic reaction where the person is unable to communicate. The ‘MYID’ smartphone App allows a person to access the smartphone owner’s contact information by scanning the QR code without unlocking the phone and thus helping to return the phone if misplaced by the user. ENDEVR ‘MYID’ medical ID also exclusively features Ion Technology, which can promote a feeling of overall wellbeing. ENDEVR ‘MYID’ medical ID wristbands are adjustable to fit wrists of all sizes and come in three colours; black/grey, white/grey, and turquoise/grey. The wristbands are light weight, weather resistant, and come with a lifetime warranty. ‘MYID bracelets’ retail for $40.00 and are available at Endevr.com, Walgreens, and Target stores. We look forward to seeing them in the UK and on every wrist! To download the ENDEVR complimentary MYID smartphone app, please visit The App Store here!